Move In Today To This Beautiful Corner Lot 3Bedrm House By Townwood Homes. 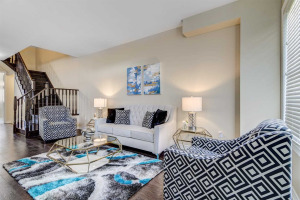 This 3 Bdrm End-Unit Town Is Tastefully Upgraded W/Designer Finishes,Open Concept Kitchen W/Island, Upgraded Staircase, Iron Pickets, High Ceilings, 3 Walk-In Closets. Live In This New Community-Home In South Bolton Village. 9' Ceilings, This Won't Last! Feels Like Grand Semi! Agent Welcomes All Inquries!